These instructions establish and implement a procedure which will assure national uniformity in the completion and issuance of the USDC SIP Export Health certificate unique to the product and shipment to New Caledonia for computer-based certificates. 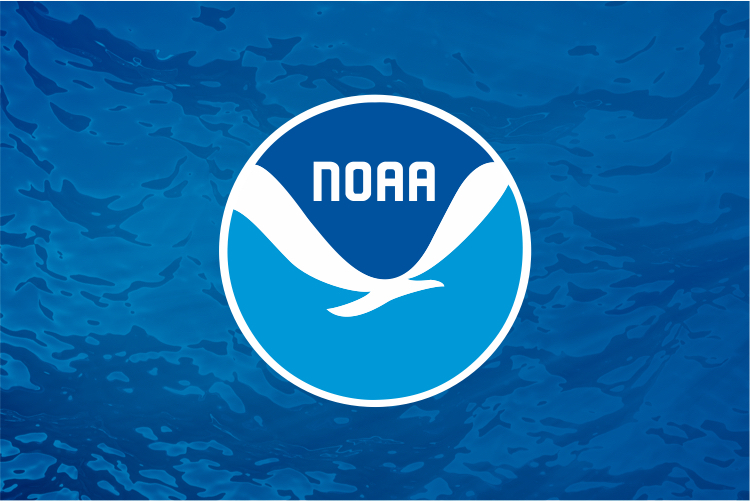 Whether received by e-mail, telephone, fax or in writing, the information requested on NOAA Form 89-814, Request for Inspection Services, must be obtained from the applicant. If a written request contains the information necessary to perform the inspection, a NOAA Form 89-814 needs to be completed by SIP personnel prior to performing the inspection. The written request or NMFS-completed NOAA Form 89-814 will be filed with the file copy of the certificate as part of the permanent record. The certificate is prepared by transferring to it the pertinent information taken from its accompanying request and observations made during the inspection. In the case of HACCP-QMP facility, the information will be provided by the requesting firm. All certification should be done via the NOAA SIP online certificate system. Only as an option when the system is down or unavailable is a PDF version issued. The directions below are guidance for both the system completion and the PDF certification for information required in fields located on the documents. In addition to a US certificate, certain products require a Permit to Import, which is issued by the government of New Zealand. A Permit to Import will be granted on a single consignment basis only. or any hybrid of a fish listed above. Commercial consignments of commercially packaged (non-trout) salmonids exported to New Zealand must be for direct retail sale and human consumption and require no further packaging and/or processing prior to retail sale or use in institutional trade. Commercial consignments do not require a permit to import but they must have a US certificate and must be eligible for biosecurity clearance at the New Zealand border. The importation of salmonid products in bulk form (product which is intended to be further processed and/or packaged in New Zealand prior to retail sale or use in the institutional trade), requires a Permit to Import issued by the New Zealand Ministry of Primary Industries. See details on the importation of salmonids into New Zealand. Current applicable guidelines, standards and restrictions that can be applied to Canadian fish and fish products may be found in the New Zealand Ministry for Primary Industries website. Prior to import, approval must be obtained from the Bureau of Fisheries and the Food and Drug Administration. Label must be marked in English, Spanish or Filipino, showing brand name, trade mark or trade name, physical or chemical composition, weight or measurement in metric units, name and address of packer or seller, and country of origin. Listed below are the certification requirements for shipments to Russia. As of fall 2014, Russia imposed a ban on imports of fish and fishery products from the United States. This ban is still in effect. For this reason, USDC Seafood inspection program cannot issue Export Certificates for product bound for Russia. In addition, while the ban is in effect, USDC Seafood Inspection Program is unable to request any updates to the Rosselkhoznadsor list. Effective November 10, 2010 U.S. seafood firms in the supply chain desiring to produce, pack, store, or ship fish and fishery products for export to the Russian Federation must meet the requirements of the NOAA Seafood Inspection Program to be “approved establishments” in accordance with the regulations and policies of the NOAA Seafood Inspection Program. Only establishments approved by the NOAA Seafood Inspection Program and subsequently approved by Rosselkhoznadzor, the Russian food safety agency, may receive certification from NOAA for export to the Russian Federation. This export procedure is in required by Russian law and is in accordance with a Memorandum of Understanding approved by United States and Russian officials; current MOU and Federal Register Notice. Any firm requesting an export health certificate for the Russian Federation must be listed on the Russian Federation website and be an approved establishment with the NOAA Seafood Inspection Program. All operations within the supply chain for a specific lot of product being shipped to the Russian Federation, including vessels, storage warehouses, and processors, are to be approved establishments of the NOAA Seafood Inspection Program. All supply chain points for a specific lot of product to be certified need not be listed on the Russian Federation website. However the requestor of the certificate may only request certificates for products that have originated, been handled, or processed by firms that are on the List of approved establishments for SIP. One exception exists, brokers, which may be listed on the Russian Federation site are not required to be approved establishments. Brokers are still required to send products that have met all the requirements. Submit your request to the nearest Seafood Inspection Program Regional Inspection Branch. When submitting the request firms must provide the full name of the firm to be listed, the CFN or FEI number, address, type of operation (broker, processor, vessel, etc.) and products to be included on the list. Submission requests for inclusion on the list are collected by SIP and submitted monthly. Inclusion on the list takes a minimum of 45 days from the time it is submitted by the NOAA Seafood Inspection Program to Rosselkhoznadzor. Certificates must be issued prior to shipment. This is the information SIP has at the moment for the Russian Federation. New Russian regulations are to be in force by January 1, 2012 and at this time it does not appear as if there will be any modifications to the MOU. However there are a number of analytical tests performed by the Russian border inspection posts and at times there are issues related to these test results. SIP will investigate any positive findings and report back to the Russian Federation. The Republic of Serbia has adopted the certification and import requirements in place for the European Union (EU); however, Serbia is not a member of the European Union. Consult the European Union certification requirements for certification of product exported to Serbia. Serbia has elected to use the EU model health certificate with public and animal health attestations. All intentions of the attestations must be met including Approved Facility listings and raw material sourcing requirements. Serbia is not a participant of the Veterinary Equivalence Agreement between the US and EU, therefore all product exported to Serbia, require physical inspection. If the product is produced in a USDC HACCP QMP facility a Lot inspection is not required. All documentation verification must still be done for each consignment. If the product is produced in a USDC resident inspection facility or a non-contract facility, physical consignment by consignment inspection is required prior to certification. An application for an import license is required for dried and salted or curried fish. These instructions establish and implement a procedure, which will assure national uniformity in the completion and issuance of the USDC Seafood Inspection program the Model Health Certificate for exports of fishery products/ molluscan shellfish intended for human consumption unique to the product and shipment to Taiwan. Beginning February 2018, Molluscan shellfish require an Health Certificate to enter the Taiwan. While certification is not required for fishery products other than Molluscan shellfish, if a US exporter requests certification the Model Health Certificate for exports of fishery products/ molluscan shellfish intended for human consumption shall be issued. Country and province of origin must be declared. All master cartons require a shipping mark. Please contact the importer for further details. Labeled and marked in the Thai language showing the common name food, registration number, name and address of manufacturer, date of manufacturing, net weight of content, and any additives used. There are no specified requirements for export to Thailand. Beginning November 2018, a model certificate is available for US exports to Thailand for consignments intended for further processing and re-export to EU. If there is a possibility of further processing in Thailand and re-export specifically to EU, US exporters must obtain this certificate for shipments to Thailand. The issuance of this certificate (further processing and re-export to EU) is dependent upon certifying officers verifying that all firms that handled, processed or stored the product and its ingredients are listed as current approved shippers to the E.U. The certificate (further processing and re-export to EU), must be issued prior to departure from the US and an original version of the certificate must accompany consignments on entry into Thailand. Importers of fish (fresh, chilled or frozen) shrimp or prawns (excluding canned shrimps and prawns), and canned tuna must have an Import License. brand name, common brand, net weight, volume, ingredients list, declaration of preservatives, food colours and imitation flavourings used. All fishery products must be accompanied by the origin country Export Health certificate. Acts and Regulations -None Specified. The Republic of Turkey has elected to use the EU model health certificate with public and animal health attestations. All intentions of the attestations must be met including Approved Facility listings and raw material sourcing requirements. Republic of Turkey is not a participant of the Veterinary Equivalence Agreement between the US and EU, therefore all product exported to Republic of Turkey requires physical inspection. If the product is produced in a USDC resident inspection facility or a non-contract facility, physical consignment by consignment inspection is required prior to certification. The original version of the certificate must accompany consignments on entry into the Republic of Turkey (original signature of an authorized officer, the name in capital letters, the qualification and title, and original stamp of the competent authority). Each shipment of fish and seafood products exported to Ukraine must be accompanied by Ukraine Export Health certificate. These instructions establish and implement a procedure, which will assure national uniformity in the completion and issuance of the USDC Seafood Inspection program the Health Certificate for aquatic animals (live/products) including molluscs, crustaceans, amphibians and echinoderms intended for human consumption exported to the United Arab Emirates unique to the product and shipment to UAE. Beginning November 2018, each shipment of fish and seafood products exported to United Arab Emirates must be accompanied by a Health Certificate for aquatic animals (live/products) including molluscs, crustaceans, amphibians and echinoderms intended for human consumption exported to the United Arab Emirates. Normal inspection procedures apply to these products, e.g. lot inspection, in-plant inspection or a current HACCP QMP system. All processors shipping product intending to enter commerce in Vietnam must be an Approved Establishment in the Seafood Inspection Program to obtain certification. As of December 2017, MARD/DAH of Vietnam has removed all Live product processors from the Vietnam approved list. MARD/DAH has deemed Live shipments outside the scope of Circular 25 and thus no longer require listing. USDC has confirmed this during a visit to Hanoi in early December 2017. Live product processors require Approved Establishment status with USDC and accompanying Health Certification for shipment but are no longer required to be listed on the Vietnam approved list. Firms desiring to export seafood products to Vietnam are also required to be approved by the Vietnamese authority, MARD/DAH, prior to shipment. Once approved and listed on the MARD/DAH website firms must request an Export Health certificate from their local NOAA Fisheries Seafood Inspection Office (SIP). Products will be lot inspected prior to certification if the firm is not a participant in the HACCP QMP program with SIP. Brokers are not required to be on the list, only the final processor. Brokers may only ship products to Vietnam that originate from a processor on the list. It was confirmed MARD/DAH wants the competent authority to send originals of the Appendix 3 forms for each firm requesting approval and listing. This is to be accompanied with the authority's completion of Appendix 1 (Electronic delivery is desired but not possible at this time.). Additional information, in the form of the process flow diagram, is required for each submission. MARD/DAH desires NOAA to inspect and certify the products being sent to Vietnam. Firms should join the Seafood Inspection Program as approved establishments. MARD/DAH requires a pre-shipment clearance process for each shipment to Vietnam. However, our Program policies and procedures are understood and MARD/DAH has agreed to its terms. This means that, depending upon your level of participation in our Program, not every shipment must be lot inspected. A certificate must accompany every shipment to Vietnam. Further the certificate must have the name of the producer on the list. The name of the producer on must be on the label. This includes the primary and shipping containers. Also the labels must be bilingual (stated in Vietnam Circular 13). It was understood product has been entering the country without this being accomplished. However at any time a shipment could be stopped for this reason. Firms shipping product destined for reprocessing and re-export do not have to be on the SIP approved establishment or NAFIQAD lists, but a certificate is still required. The statement "Product is intended for reprocessing and re-export only" will be entered on the certificate. In general, for being approved as a company eligible for exports of animal products to Vietnam by the Seafood Inspection Program, the company must provide all information described in the Appendix 3 (attached) (be sure to include the CFN or FEI number from FDA. The form must be signed by a representative of the company.